Like Alice down the rabbit hole—or Dr. Who opening the door to the Tardis—this reporter opened the long-ignored door to the Whidbey Art Gallery on Second Street in Langley today to find another world. “It’s huge!” were the first words I uttered as I entered the gallery. Through two doorways I saw that the room I thought to be the summation of the space was only the beginning. Room after room extended into the rear of the building, chock full of art from Whidbey’s finest. The Whidbey Art Gallery is a member-owned and operated gallery that has been around for 22 years. It’s been in several locations in Langley and obtained its current space four years ago. 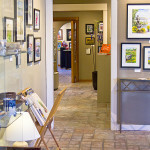 Two years ago the Clock Shop and Gift Shop in the building downsized and consolidated to allow for more gallery space. Membership now stands at 39 artists, both working and consignment. Members are chosen through a juried selection process, and working members take turns staffing the gallery and rotating their work throughout the different rooms. The front room features a guest artist as well as two or three featured members. Williams lives in Portland currently, but she was born in Oak Harbor and her family has lived on or owned property on Whidbey since the 1930’s. Williams comes home to Whidbey this Saturday, March 7, and will be at the gallery from 5-7 p.m. for Langley’s monthly art walk. 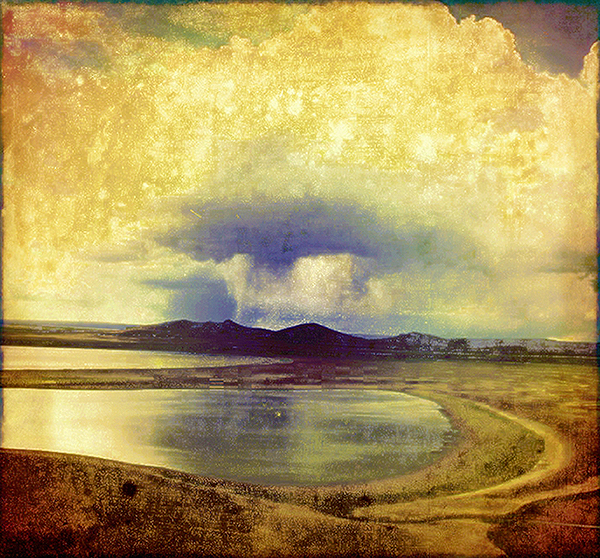 Drawing on her love of the outdoors and her experience as a landscape photographer, Williams’ pieces play with texture and images in digital collage and mixed media. She will also display her poetry. “We have a balanced variety of mediums,” Schwarz explained. “Some members have been around from the beginning and it’s been wonderful to watch their work grow and change as our community of artists has grown. Each piece has a story. And, since this group of artists is not only colleagues but friends, a visitor to the gallery will get the backstory along with the beauty. 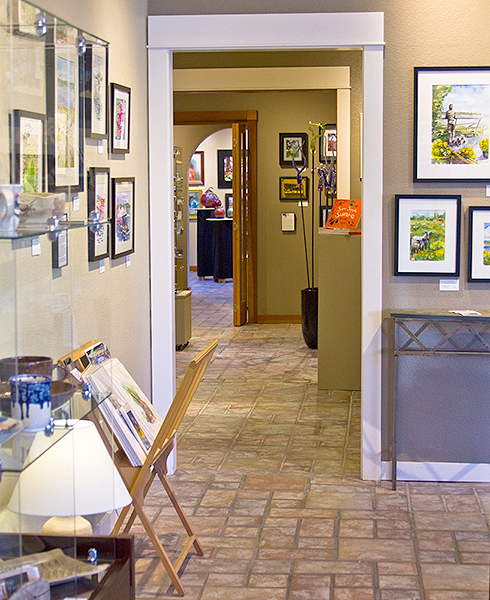 Whidbey Art Gallery is located at 220 Second St. in Langley. 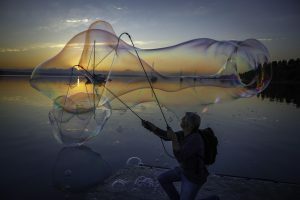 It’s open from 10 a.m. to 5 p.m. daily and participates each month in the “Langley First Saturday Artwalks” from 5 to 7 p.m. 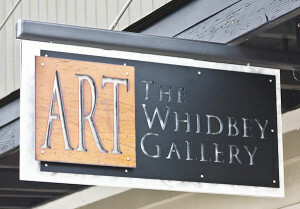 The gallery can be reached by phone at 360-221-7675 or online at www.whidbeyartists.com. Find out more about the Whidbey Writes. Gina Williams’ website can be found at www.ginamariewilliams.com. Penny Webb is a writer, singer, songwriter, mother, and gardener. She is currently looking for her next adventure.